We think old Bill Shakespeare must’ve been talking about Iceage when he said something was rotten in the state of Denmark. The four high schoolers’ debut LP, New Brigade, came out in early January this year and has all ready sold out of a couple presses [that means a couple presses from Escho Records and Dais Records] Lucky for us, What’s Your Rupture will be releasing it again in the US this June. It’s a pretty gnarly record. It’s noisy and loud and brash and abrasive and dark and poppy and apocalyptic and blah blah blah. They’re touring soon with Fucked Up across the UK and they’ll be bringing the same show to the US this summer. If we’re lucky, Nashville will be included. Check out a video from the LP and snag an mp3 down there. 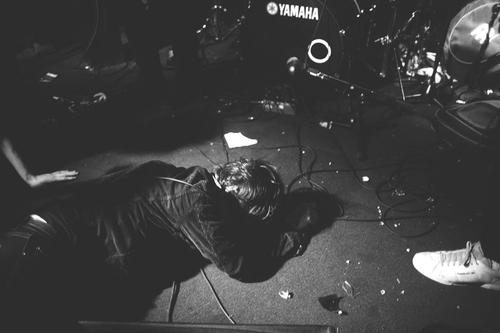 Iceage – New Brigade from iceage on Vimeo.